Vote Castle! PCA Nominee Voting Ends Tonight! Calling all Castle Fans! PCA Voting ends tonight at midnight so we need to get as much voting in as we can! We need you to help out our favorite show and actors on TV win the People's Choice Awards they deserve! They need you to vote for the PCAs! Click here to vote for Castle! Vote Castle as "Favorite TV Crime Drama"
Vote Nathan Fillion as "Favorite Dramatic TV Actor"
Vote Stana Katic as "Favorite Dramatic TV Actress"
Also, we (Castle fans) are not on the offical voting list for Favorite TV fan following but don't worry! We can help get ourselves on the final ballot! Write in "Castillions (Castle Fans)" under Favorite TV fan following so they know our fandom and our show! We are trying to keep it a joint effort between fan sites to increase the number of votes we get! Also, you can write in Castle and specific actors in other categories as well if you want. For example, you could nominate Nathan Fillion under Favorite Comedic TV actor. You can vote as many times as you want today so vote often! Lets get one final voting push in to help out our favorite show! VOTE NOW! 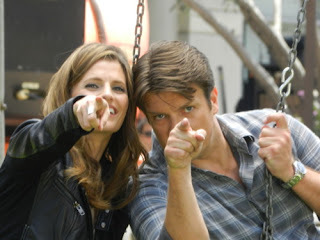 VOTE CASTLE! And let's show the world why Castle fans make the best fandom and why Castle is the best series on TV!